Organisations are common in everyone’s life. They are everywhere around us, and we are the members of various organisations for most of our lives. We are citizens of a co-untry, we learn in schools and colleges, attend additional courses, play in sport teams and musical groups, and belong to religious communities and other associations. Thus, most of us work in business organisations. The purpose of this book is to present basic knowledge about managing contem¬porary organisations. Due to its limited size, the book contains only selected theories, models, and applications. In many cases, there are references to enlarged sources and other materials in the text. The book is addressed mostly to the students from different countries studying bachelor or master programme. As foreign students’ mother langu¬age is not very often English, that is why the language used in the text is simplified. 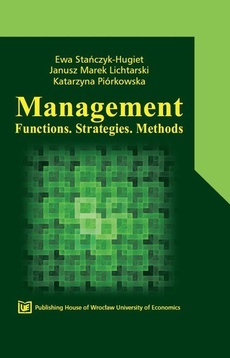 The book consists of five logically related chapters, which focus on main questions of organisation and management and enlighten both theory and practice of manage¬ment from various perspectives. The first chapter starts with a discussion about the nature of organisation, its main components, and life cycle. It shows organisations as open systems and places them in the environment. In addition, a general description of a management process and managers within organisations is presented. The second chapter brings a closer look at four main managerial processes (activities): planning and decision-making, organizing, leading, and controlling. Different theories and mo¬dels are presented to describe how to run organisations effectively. The purpose of the third chapter is to introduce the strategic management process. This chapter is divided into four components: the strategic management process, the strategic analysis, types of strategy and strategy implementation. The fourth chapter in turn focuses on mana¬gement methods. The last chapter shows the evolution of management science. Various concepts and approaches are presented – from the earliest movements to the contem¬porary ones. We believe that the synthetic view of main managerial issues presented in the book will be helpful to understand the main problems of management practice, and encoura¬ge students to deeper studies of the presented topics.